The Residences of the Royal House of Savoy represent the 17th and 18th century building programme of this dynasty of absolute monarchs. 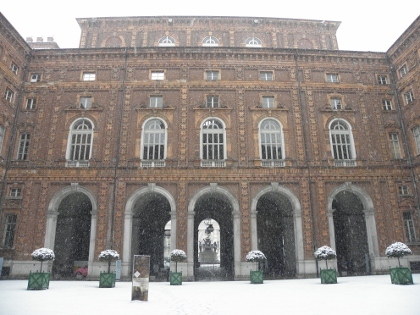 The group of 22 buildings is located in Turin (the “Command Area”) and in its province Piedmont (pleasure and hunting residences). The Dukes of Savoy moved their court to Turin in 1562. Using their family wealth, successive dukes initiated construction and expansion programmes with an eye for town planning and overall cohesion. My trek along Turin’s palaces started badly. I arrived at the Palazzo Reale at its opening hour of 8.30 a.m., but was not able to enter because the ticket office could not give me change back. A 50 EUR note proved to be too large to pay a 10 EUR entrance fee. They don’t accept debit or credit cards either, so I was sent away to try and change at the coffee shop. Which also would not let me. After that I was fed up with the unfriendly welcome, and decided to boycot the place. If you see a foreign tourist coming in through thick snow, can´t you just make it work somehow? 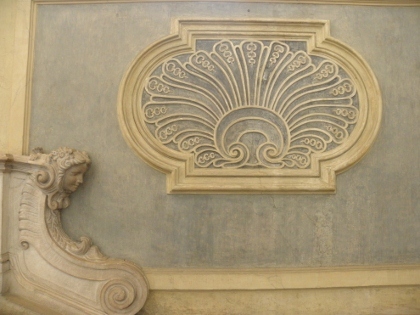 Things brightened up considerably when I entered the hallway of the nearby Palazzo Madama. It has a fabulous staircase, which is free to enter. It gave me the first (and last) wow!-moment of this WHS. A bit further south lies the Palazzo Carignano. This has a full brick façade, pretty remarkable. The main courtyard is totally made out of brick too. Finally I entered the Palazzo Madama, where the entrance costs another 10 EUR. Exhibitions cover 4 floors of this historical building, which is an extension to a medieval castle. Most of the interior is pretty plain, especially compared to the magnificent Juvarra staircase downstairs. The walls are covered by art from late medieval times to renaissance and baroque. Captions are in Italian only, though it is not very hard to understand the omnipresent ´Madonna col bambino´. The palaces of Turin were entered in the WH list because they are as representative of the Ancien Regime as those in France and Germany. The Savoy dynasty also had strong relations with courts all over Europe. So it´s no wonder I got the feeling that I had seen it all before. Wurzburg Residence for example is quite similar. Turin in general is not one of Italy’s great historic cities, although it was its first capital and it has always been quite prosperous. Probably due to the cold, it looked quite rough around the edges with many homeless people hiding under the city's arcaded walkways. The city center has a “consistent baroque architecture”, which I found quite boring and grey. It is worth visiting though for its museums: I very much enjoyed the Egyptian Museum, with a collection of Egyptian objects both in quantity and quality that I had never encountered before. The nearby Cinema Museum is said to be good too. While in Turin for a single day in November of 2018, I managed to see Palazzo Madama, walked around Zona di Commando, and stopped by Palazzo Reale and Palazzo Carignano without stepping inside. My initial plan was actually to visit all three of these palaces that are located very close to each other, but other priorities and a desire to remain outside on a reasonably sunny day took precedence. Palazzo Madama is so called because its 17-18th-century decorations and enhancements were ordered by two queens of the house of Savoy. It holds a historical distinction of having been the first Senate of the Italian Kingdom, but has long been converted to a museum. There is a floor devoted to religious art, another one hosting a large exhibition of porcelain, and a floor of formal royal apartments. All not without interest but far from must-see. In addition, one of the towers of the palace can be ascended for views over town. Several sources suggested to me ahead of time that exhibitions of the Royal Palace are at best middling. I still would have spent time on it if not for inexplicably long and slow line to the ticket counter when I first reached it. So I took a glimpse at the gardens (nothing too special to catch the eye) and decided to try again later in the day. And then never did. I also stopped by Palazzo Carignano which has the most elaborate façade of the three, contrasted by a surprisingly austere inner courtyard. The palace houses the Museum of the Risorgimento – Italian unification in the 19th century – which did not have around 4pm enough of a pull for me to step in and take a look at the interior. A more determined and thorough World Heritage chaser can definitely explore all three of these palaces in the matter of a single day – I suspect one hour for each is quite enough. Additional properties of this serial site will require a bit more travel around the city and its surrounding area, which I expect only the most dedicated of chasers might attempt. Somewhat ironically, central Turin did not make much of an impression on me, aside from the superb Cinema Museum at the gorgeous Mole Antonelliana. I am not completely sure whether favoring walking around over stepping into other palaces was a satisfactory idea. But the day was certainly too nice to pass indoors. Even in a country filled with world class sites like no other, with a large backlog of well deserving sites on the tentative list, you will find the occasional dud. A bit surprisingly these are concentrated in the Piedmont region. 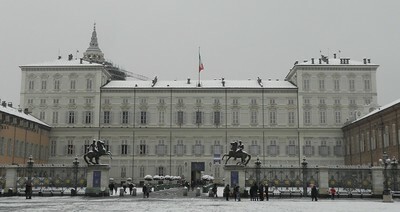 Having been to Turin before I could never quite make up my mind if I had actually visited the palaces. I only recall the splendid stair case of Palazzo Reale and the rather pricey tickets that came along with it. I was a poor student at the time and may have decided against entering. This time around I visited the Palazzo Reale, the Piazza Castello, the Palazzo Madama and the Borgo Medievale. Across the river I could also catch a view of the Villa della Regina. The highlight to me was the Royal Armory in the Palazzo Reale. But to be frank, none of them really made much of an impression on me. I also question why this had to be a serial nomination. 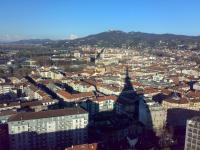 Meanwhile Turin is a really pleasant and nice city with visible French and Swiss influences. I loved strolling the streets and would have preferred a site focused on Turin the Capital instead. Turin has an international airport. By train you can connect to Milan to the East, Genova to the South and to the Aorta Valley and from there to Chamonix to the North. The nearest WHS are the underwhelming Vineyards of Piedmont. To get there take the train to Asti or to Alessandria. You will also find one of the Sacri Monti nearby. Ivrea, the Olivetti factory town, is also part of the Italian tentative list and scheduled for 2018/2019. As stated Turin is a nice city well worth exploring. The National Cinema Museum housed in the Mole Antonelliana is impressive and the lift inside the grand cupola is breath taking. The archeological museum is famous for its Egyptian collection. And if you have time, ice cream at Mara Dei Boschi comes recommended, but I think there are more places offering great ice cream. For over 2 centuries, the monarchs of the Savoy dynasty spent their treasure on a huge series of Baroque palaces in and around their capital of Turin. I'm normally not a huge fan of Baroque architecture, but I enjoyed this site very much - each building is really interesting, most are quite beautiful, and they complement each other really well. Also, most were renovated quite recently after being neglected or closed for a long time. As individual buildings, no palace probably would have been inscribed on the list (maybe with the exception of Venaria), but as an ensemble, I daresay there is probably no equal for them (and I am from a country full of Baroque architecture). In Turin itself, I visited the great Palazzo Reale with the Royal Armoury, the Palazzo Madama with its impressive staircase (the museum collection is not so great, but the historic garden and the view from the tower shouldn't be missed), the Palazzo Carignano (housing a reasonably interesting museum on the Italian independence wars), and the Castello del Valentino on the banks of the Po (basically just from the outside, as it houses a university institute). In the surroundings of Turin, I visited the huge Venaria Palace in the suburb of Venaria Reale (a shuttle bus takes you there), which resembles Versailles in its style and dimensions (the Grand Gallery is the most impressive part), then the Castle of Rivoli (the least interesting and least beautiful; it now houses a museum of modern art), and the former hunting lodge of Stupinigi, a Baroque gem still in the process of renovation (but many parts are already open, including the impressive Grand Salon). I also really liked Turin as a city - it's usually only known for its cars, football, and a shroud of dubious origin, but it has an elegant ambience similar to Paris, with many open squares and broad boulevards, quite unlike many other Italian cities. Besides the many palaces, 2 museums stand out as highlights - the excellent Egyptian Museum and the unique and quirky Cinema Museum. I visited this WHS in September 2007. When Emmanuel-Philibert, Duke of Savoy, moved his capital to Turin in 1562, he began a vast series of building projects (continued by his successors) to demonstrate the power of the ruling house. 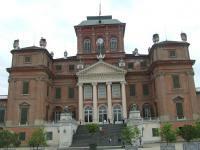 The Royal Palace is a true gem of Turin and well worth a visit. In Turin I was unprepared for the magnitude of the Piazza Castello, with musicians, buskers and a brass band providing entertainment. Around this expanse of paving were most of the buildings included in the WHS including the Palazzo Madama and the more staid Palazzo Reale. Other buildings were to be found in the adjacent streets. A short distance away, on a hill to the east was the Villa della Regina, reached by bus #56. The Castello del Valentino, beside the Po river was reached by bus #34. Further away from Turin I visited the Castello di Racconigi and Castello di Moncalieri both large brick buildings and both reached by trains from Porta Nova station. Pollenzo estate, now the university of food sciences, is reached by bus #2 from Bra. Venaria Reale and its Mandria hunting lodge cover a large area of countryside, are reached by the Venaria Express bus from Porta Nova station. The crumbling Castello di Rivoli is reached by bus #36 from Paradiso metro station, then by navette up to the castle from where there is a fine view of Turin. 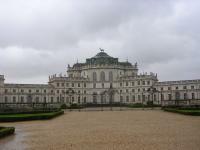 The Palace of Stupenigi, also in the middle of a huge park, is reached by bus #41 from Lingotto station. The Castello di Aglie with its elaborately frescoed ballroom is reached by train from Porta Susa station to Rivarolo, then by bus to Aglie. This site is conveniently close to the Sacro Monte of Valperga. On my last trip to Turin, I visited Palazzo Reale, Palazzo Madama, Venaria Reale and Castello di Rivoli with its Museum of Contemporary Art. I don’t love particularly Contemporary Art but the Castello is very pleasant, also thanks to the sunny spring weather on that day. You can eat outside the cafeteria enjoying the panorama but there’s also a very famous, elegant and expensive restaurant there (Sunday closed) if you can afford the price. With a car, on the same day you can visit both Venaria (12€) and Rivoli (6.5€) since they are on the same direction. Venaria is one of the biggest Savoy residences but one part of the palace (the Scuderie Juvarriane) can be visited only on the occasion of big art expositions. Plants in the Gardens are still very young and the long Vasca (2.5km fountains) is under restoration but there you can get acquainted with the long history of the Savoy family. 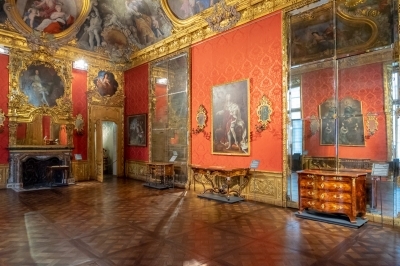 Rooms in Palazzo Reale are similar to many other royal palaces but there’s not much original furniture, in any case it still worth a visit. Go early in the morning when visiting this Palazzo since tours varies according to days and hours, so it can be difficult to visit all the apartments on the first and second floor and the kitchens (6.50/10€) on the same day. Don’t miss to take a look at the San Lorenzo Church outside and the cafeteria inside. Worth a visit Palazzo Madama with its Museum created after the visit of the founder of the Victoria & Albert in London. If you are in Turin during the week you can also take a look at Castello del Valentino, now hosting the Faculty of Architecture meanwhile to visit Villa della Regina you need to book well in advance. Unfortunately, the Palazzina di Caccia di Stupinigi (probably the most beautiful of the residences) is currently closed because it needs heavy restoration. Anyway, even if they aren’t WHS, don’t go away before having visited the famous Egyptian Museum and the very interesting Cinema Museum in the Mole Antonelliana where you can also enjoy a wonderful view of the city surrounded by the Alps taking its elevator to the top (5€ only the elevator, 9€ with the Museum). When visiting Turin and its surroundings consider to buy the convenient Torino+Piemonte Card: € 20,00 (2 days), € 25,00 (3 days). Castello Cassotto is a very impressive and intriguing royal hunting lodge in Southern Piedmont. It is undergoing renovation, like almost all the other palaces of the Savoys, but this one had not yet been ravaged by cleaners and refinishers when we toured it in Sept, 2005. It is deep in the woods off the main roads, and was the king's favorite hunting lodge. NONE of the many rooms in the palace have been touched since it was closed, and it looks it, dust and all, but that makes it all the more amazing to see. The willing but Italian-only guide took us throughout the palace, including the impressive royal chapel, the palace kichen, and the grounds in the rear that show some of the destruction wrought by Napolean's army. This residence is worth the 30 minute detour off the highway on a winding road through a beautiful forest. If you can find it, you may be only the second English-speaking tourists to see it EVER. 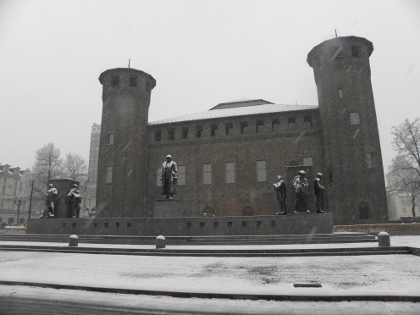 Unfortunately, my experience with Torino was marred by terrible weather and the ongoing construction that precedes the arrival of the 2006 Winter Olympics in the city. On my trip, I visited the Palazzo Reale, Palazzo Madama (from the outside as it was under renovation), and the Palazzina di Caccia di Stupinigi (a royal hunting lodge outside of the city centre). The Palazzo Reale was underwhelming at first but proved in the end to be the equal of many other royal palaces in Europe; Stupinigi was also impressive although my desire to wander the grounds was deterred by the torrential rain. My explorations around the rest of Torino revealed an elegant city that presently bears the scars of massive development projects that are being rushed to completion in time to welcome the world for the Olympics. 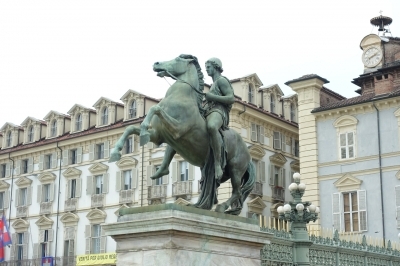 I hope I get the opportunity to visit Torino again to see the city at its best. The # of serial sites is unclear, but the WHS covers 22 palaces. Naser ed-Din Shah: In Turin: "After breakfast the Sovereign came and we went together to the armoury that is in the palace. There were large numbers of weapons, ancient and modern, such as Persian swords on which were inscribed verses of Persian poetry in letters of gold;"
150 Community Members have visited.